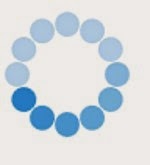 Comic-Con Guide: Are you ready for Open Reg? Are you ready for Open Reg? On Saturday we'll face our 4th SDCC badge sale this year. At this point, your skills should be ninja-smooth - but because every Open Registration sale attracts its share of first-timers, let's go over the basics. By now you've gotten your email from CCI with your registration code. Keep that handy for Saturday and don't share it with anyone else; that reg code you were given can only be used for one badge sale session. If someone else uses it to log into another session after you're logged in, you'll be kicked out. On Saturday, you'll click the link provided between 8 and 9 a.m. PST. (FWIW: I usually do better with sessions that entered the waiting room closer to 8. Usually.) You'll hang out for a while, setting up camp with drinks and a credit card and a list of everyone you're buying for - their last name, their Member ID, the kind of badge they want and what they'll accept. It helps to print this out, by the way, so you don't have to flash back and forth between screens and risk accidentally closing out your session. Just before 9 a.m., you'll hit the loo and remind everyone in your vicinity to be quiet and respect the intense emotional experience you're about to undergo. At 9 a.m., CCI will announce onscreen bar that the sale is about to begin and everyone is being organized randomly into groups. For some reason, it's this message that puts a squirrel in my stomach. But really at this point, it's a matter of fate. You'll wait... check Twitter and Messenger and your phone to see who's bought a Preview Night badge... check the clock.... realize Preview Night badges must almost be gone.... Tell yourself it's okay as long as you get all 4 days... And maybe you'll get picked then or later or not at all. It really is a game of chance. If you get picked, you'll be asked how many attendees you're buying for: 1, 2 or 3. Be careful - people have accidentally hit 2 instead of 3 and consigned their closest friend to staying home. You'll then be asked to input their last names and Member IDs. If someone has already bought them a badge, the system will tell you so. Then you'll pick from the badges that are left - be careful here too - and then go to a new screen where you'll put in your credit card info, buy the badges and close out. It's all pretty simple. CCI has significantly reduced the number of glitches and snafus that used to infect every badge sale like a pestilence. While some still occur, it goes smoothly for most people. Let's talk chances. They depend on several factors. Are you working with other people? Your odds went up. Working alone? Your odds are slim. (But not impossible! I know several 2017 first-timers who only had 1 or 2 sessions going and got 4 days.) Last Open Reg was incredibly harsh, the worst I've ever seen, but I believe this one may be slightly better. What I'm basing that on: the large number of attendees I've talked to who aren't coming back to SDCC. But I'll do a post on that topic after Open Reg. And about new attendees and first-timers: did they create their Member ID before 27 November? If you're not sure if they're eligible, they need to log into their account and look under the Registration Info tab. It'll tell them if they can do the sale or not. Make sure you've got a credit card with enough room on it for all the badges you might want to buy. Remember, your card isn't charged in real time - and even if your shaking hands mess up a number or your card gets denied, CCI will come back to you and give you a chance to pay with a different card. If you're working with a group, make sure everyone has everyone's contact information, Paypal, phone number, etc., depending on how you're going to communicate and pay each other. If someone's at work Saturday morning and you're taking over their session, make sure they email you their code. If you have some kind of office party or holiday gathering Friday night, don't stay out too late or get too destroyed. There's always someone who sleeps through the badge sale or tries to hangover their way through it. Don't be that person. Screenshot your confirmation screen and any glitches. In the past, CCI has been good about making things right. But last year when I ran into minor trouble during Ret Reg, their answer was "See how you do in Open Reg and get back to us." I'm guessing people have tried to scam them or play on their sympathies to get a badge - so compile all the evidence you can of any hijinks. You'll also want that screenshot to send to anyone you bought for, because if they don't get their barcode when everyone else does, they'll start nervously asking you if you're sure the sale went through. If someone buys your badge, don't exit your own session - hang in there so you can help someone else out. And don't flounce out in a rage if you hear Saturday has sold out. Three or even two days at SDCC is still pretty incredible. Remember to have one session per browser and don't crowd too many browsers onto one device, or you're more likely to miss one going live or accidentally shut it down. Make sure your laptop or other device is ready. And finally, please remember CCI's warning that all badges bought in the same session will be canceled if one of those attendees sells/scalps their badges. Think carefully before buying for random Instagram friends and other people you don't really know. I know we all want to help each other out. It might feel like a waste to get picked when 4-day badges are available and you have a spot you're not using. But it's not a waste - it'll just go to someone else who's waiting. Good luck. I'll be participating in the sale for friends and live-blogging and on Twitter. I was lucky enough to get a Preview Night badge in Ret Reg, so I can't pretend this sale carries quite the same stakes for me, but I am still anxious on your behalf. I know many of you are hoping to upgrade an existing badge, hoping to get a badge for a best friend or new paramour, or even hoping to get your very first San Diego Comic-Con badge ever. I hope you succeed.